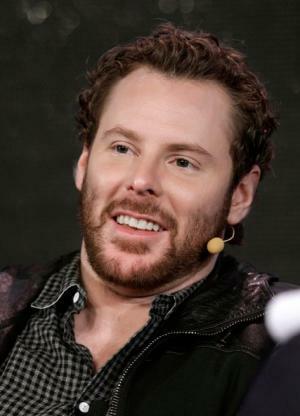 American entrepreneur Sean Parker was born on 3 December 1979, in Herndon, Virginia, and will be best known to almost everyone in connection with the online social networking service – Facebook – which he joined in 2004, encouraging founder Mark Zuckerberg to fully develop the site. His interest and influence in various internet-related projects began as a teeneager. So just how rich is Sean Parker? Authoritative sources estimate that Sean’s net worth is over $2.5 billion, as of early 2018, much of which comes from his work and stake in Facebook. Sean Parker became involved with programming from a very early age – Parker’s parents began teaching him the first basics of programming back when the future entrepreneur was only seven. Parker proved to have an almost instinctive grasp of programming, and by the time he was sixteen, he was already getting into trouble with the law for hacking into various companies’ websites, but though Sean would be sentenced to community service for his offenses, this did nothing to deter the future internet billionaire from his chosen field. Throughout all his years in high school, Parker hardly ever stopped programming – and with impressive results. By the time he matriculated in 1998, Parker had already worked with famous internet entrepreneur Mark Pincus, and was earning over $80,000 per year, giving his net worth a considerable early boost. Already incredibly successful for his young age, Sean Parker opted to skip university, and instead jump straight into the internet service industry. Sean Parker’s first real independent project was Napster, a free music sharing service Parker co-founded together with programmer, investor and entrepreneur Shawn Fanning. Though Napster would be shut down over various copyright claims from bands and recording labels, Parker’s first effort is said to have revolutionized the music industry, quite possibly serving as the inspiration for Apple’s own media player iTunes – and some have said that Napster, with its user-base of over ten million, may well have been the fastest growing business in history. In 2002, Parker went on to become involved with the social networking service Plaxo, before departing the company over alleged disagreements with investors. Such and similar early projects certainly did their part to increase Parker’s net worth – but the best was still ahead. In 2004, Sean Parker first encountered a social networking website then known only to a few, and available only to the students of particular universities – Mark Zuckerberg’s Facebook. Parker would go on to join the young company as its founding president, and it would be Parker who attracted the first investor to Facebook – none other than venture capitalist and entrepreneur Peter Thiel. Zuckerberg himself has been quoted saying that Sean Parker’s contributions to Facebook were invaluable, helping it go from a simple college project to a real business. And though Parker would be forced to step down as the president of Facebook over allegations of cocaine possession in 2005, he remains involved with the company to this day. Some of the other projects and companies that Sean has been involved with include Airtime, WillCall, Brigade Media, The People’s Operator, and The Founders Fund, almost all successfully. Parker also invested $15 million into Daniel Ek’s music streaming service “Spotify”, and helped conclude a liaison with Facebook. In his personal life, Parker has been married to a singer-songwriter Alexandra Lenas since 2013, and they have a son and a daughter. Although Sean maintains the lifestyle to suit his immense wealth, living in the lavish Bacchus House mansion he once rented for over $45,000 a month, and driving a $100,000 Tesla electric sports car, he is also a noted philanthropist, launching the Parker Foundation in 2015, and supporting numbers of charities including Code for America, Stand up to Cancer, the Cancer Research Institute, Malaria No More, the Clinton Foundation, ONE, and the “charity: water” campaign. He also contributes to politicians on both sides on an individually deserving basis as he decides. 1 We feel that for a long time Silicon Valley hasn't been properly represented at a federal level. To a certain extent we are starting to come into a realization of our own capability, not just as innovators and technology pioneers but also in a political sense.